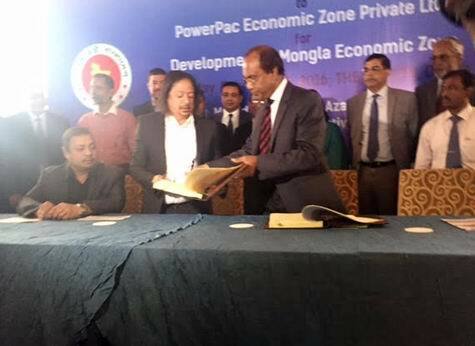 PowerPac Economic Zone (Pvt) Ltd (PEZ), a sister concern of Sikder Group of Companies, has signed the Development agreement with Bangladesh Economic Zones Authority (BEZA) to develop an economic zone at Mongla under Public Private Partnership (PPP) Basis, which is the First historical Economic Zone through PPP. It will be the first qualification license among the 10 economic zones, four of which are modeled on Public-Private Partnership and the rest six will be built by private entities. The final license will allow PowerPac to attract both foreign and domestic investors to set up their industries in the economic zone, said Beza officials. 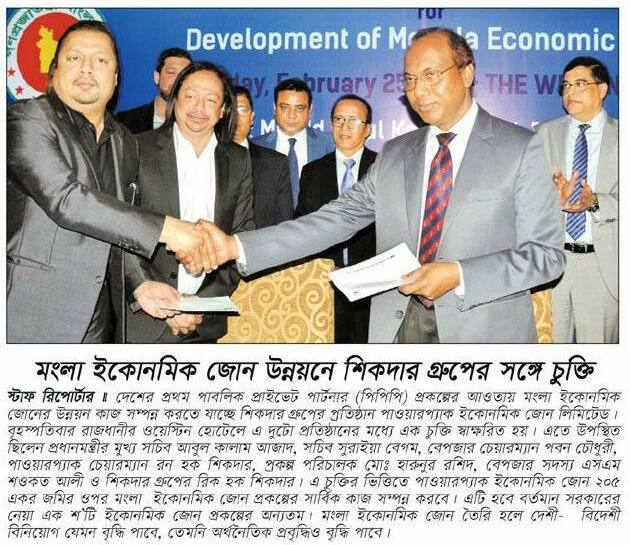 PEZ’s Managing Director Mr. Ron Haque Sikder and BEZA executive member Mr. Abdus Samad signed the deal on behalf of the respective sides at a function at Hotel Westin on 25th February, 2016. BEZA officials attending the signing ceremony said Sikder Group will develop the PEZ on 205 acres of land under public-private partnership and operate it for the next 50 years. Prime Minister's Principal Secretary Abul Kalam Azad attend the signing ceremony at the Westin hotel in Dhaka as chief guest, while BEZA Executive Chairman Paban Chowdhury will chair the event. “The government has undertaken a move to develop 100 economic zones in six categories, including PPP. 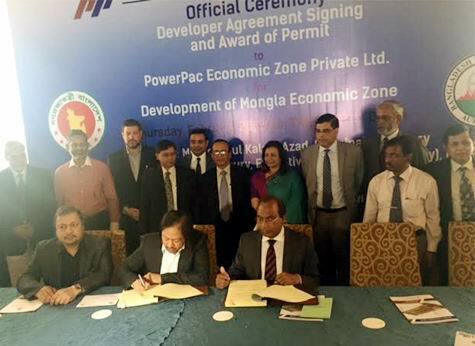 The PEZ will be the first of the economic zones to be developed under PPP model,” said BEZA executive chairman Paban Chowdhury while addressing the deal signing ceremony.